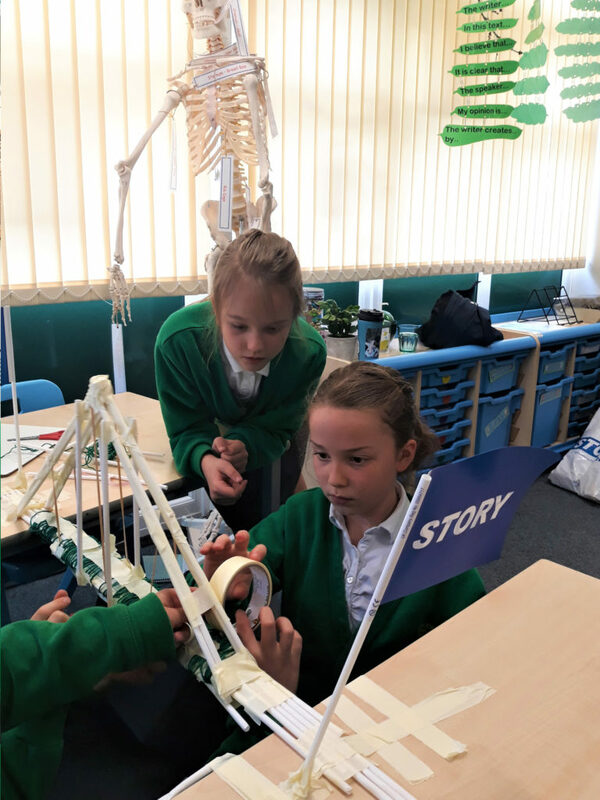 Teams of school children from Chorley were keeping everyone in ‘suspense’ as they competed against the clock to build the strongest bridge with Story Contracting. 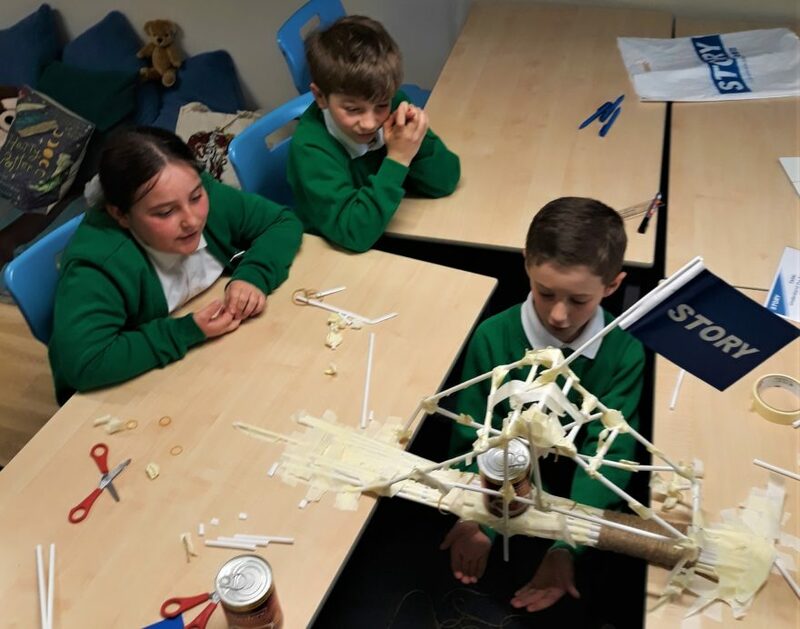 Over 30 year 4 pupils from Euxton Primrose Hill Primary School were challenged by Team Story to put their design and engineering skills to the test and build a bridge using straws, tape, string and elastic bands only. In teams, the students were challenged to design, create, solve and innovate bridge structures – from suspension bridges to truss bridges – to successfully complete the task. The end of the challenge saw each team put their bridge through the ‘big test’. Built over a gap spanning 50cm, their bridges had to hold the weight of a tin of food. The winning team and best team player were all awarded gift vouchers. 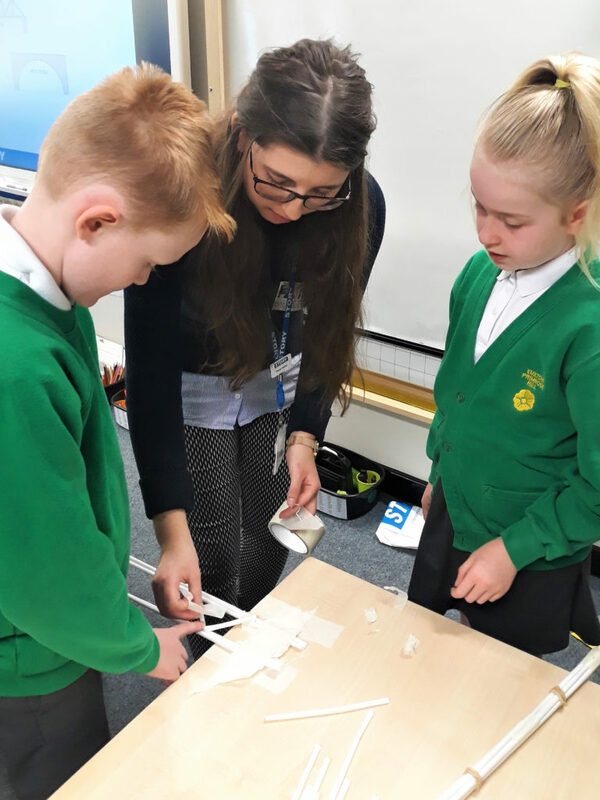 Ian Carlton, Project Manager and Claudia Hanson, Graduate Engineer and Science, Technology, Engineering and Maths (STEM) ambassador, joined colleagues Marie Whitehead and Megan Savage, to help guide the students through the challenge. Ian said: “We’re delighted to say that every single bridge withstood the test and some even held two tins without giving way. At Story Contracting all Graduates become STEM ambassadors and attend higher and further education career events and school STEM learning days as part of the company’s initiative to encourage more children and teenagers to consider pursing higher education and career in construction and engineering. Claudia said: “It’s important that we bring young people face to face with STEM experiences and role models; I know from my own experience that’s how I first became interested in engineering. 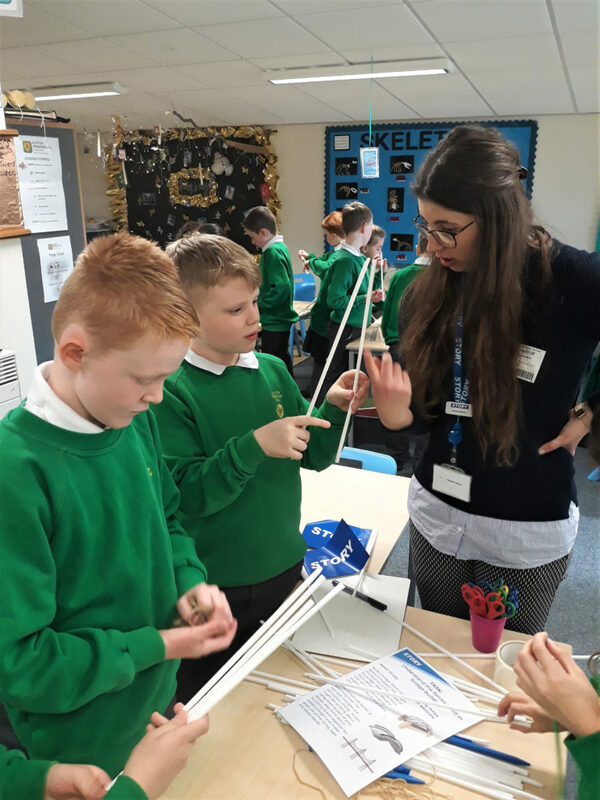 Teacher, Nicola Bullock, said: “My year four children had a fantastic experience working with the team from Story Contracting.